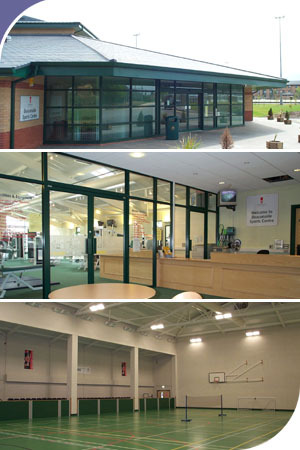 The new sports centre at Staffordshire University’s Stafford Campus was designed and developed in close consultation with the client and users to provide a multi-use sports complex which catered for the University’s educational requirements and extra-curricular activities. The sports complex includes a major sports hall, ancillary hall, fitness suite, changing rooms, administrative centre, and relaxation area and entrance foyer. The aesthetic approach adopted was carefully considered in order to provide a building which would blend with the main body of the campus and utilise traditional materials. The project was completed on time and within budget via a Design and Build procurement route.